Her first stop was Altamira on the Xingu River, a staging area for the controversial Belo Monte hydroelectric project now nearing completion. Long time residents lament the loss of the forests and grittiness of the town. In Altamira, Branford joins a small research team for a trip to the Terra do Meio, one of the Amazon’s most remote areas. This is the first of six reports from her trip. Adelia Marinho de Souza has watched Altamira on the Xingu River in the Amazon basin go from sleepy riverside settlement to sprawling, gritty boom town. Photo by Natalia Guerrero. Adélia Marinho de Souza’s cottage garden is a hidden treasure. You leave behind the rough pavement, rank-smells, and sewage-contaminated streets of the city of Altamira in the state of Pará in the Brazilian Amazon, walk through her simple terraced house, and step out into a delightful bit of Eden. It has fruit trees — lemon, acerola, graviola (soursop), pitanga (a kind of cherry), passion fruit — and is overflowing with herbs — malva grossa, “good for coughs”; peppermint, “sorts out digestive problems”; aloe vera, “good for skin problems”; and dozens more. Add in some chickens, ducks and a few tortoises, all squeezed into a small space. Marinho de Souza is 73 years old. She’s been tending this garden for 40 years. Before that, she lived along the Iriri River, the largest tributary of the Xingu, in one of the most remote areas of the Amazon forest, and where I am heading on this trip. Moto-taxis in Altamira. The smells of exhaust and sewage permeate the air of the city, whose population has grown to over 100,000 to support the building of the gigantic and controversial Belo Monte dam. Photo by Natalia Guerrero. She tells me of the staggering changes that have come to Altamira and this part of the Amazon. 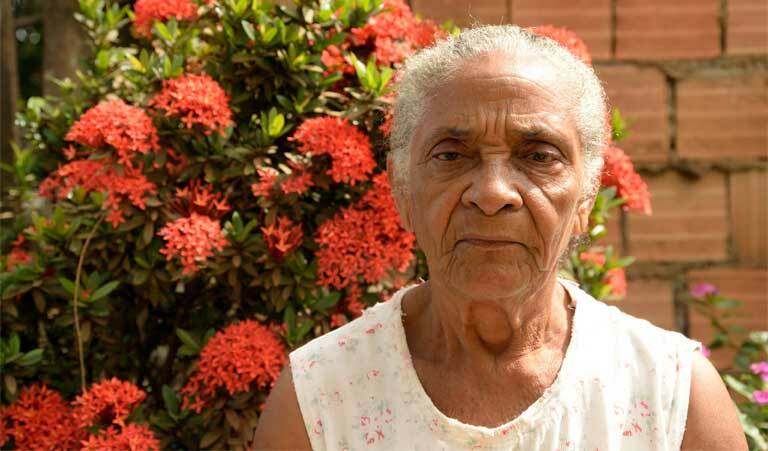 During the first half of the 20th century, her parents left behind the poverty of northeast Brazil and moved here to tap rubber. 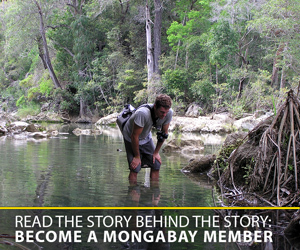 She and her nine brother and sisters were all born in the rainforest. Adélia did well for herself, marrying the local patrão, the middleman who bought rubber from the tappers and supplied them with food and equipment. Her husband, Benedito Batista da Gama, now 83 and seriously ill, was known as a bom patrāo (a good boss) — he didn’t let the tappers down and supplied them with medicine when they were ill. But he was no philanthropist: during the best years he made a considerable sum from the rubber, Brazil nuts and jaguar skins that he bought from roughly 150 forest families. While Benedito stayed mostly in the forest to work, Adélia moved to Altamira so that their four children — three girls and a boy — could get a private education, something they could afford thanks to the sale of forest products. Today they all enjoy comfortable urban lives. But Adélia hankers after the forest, seeing it perhaps through rose-tinted glasses. “I want to go back there to die”, she says. “I dream of the peace there and the abundant fish”. 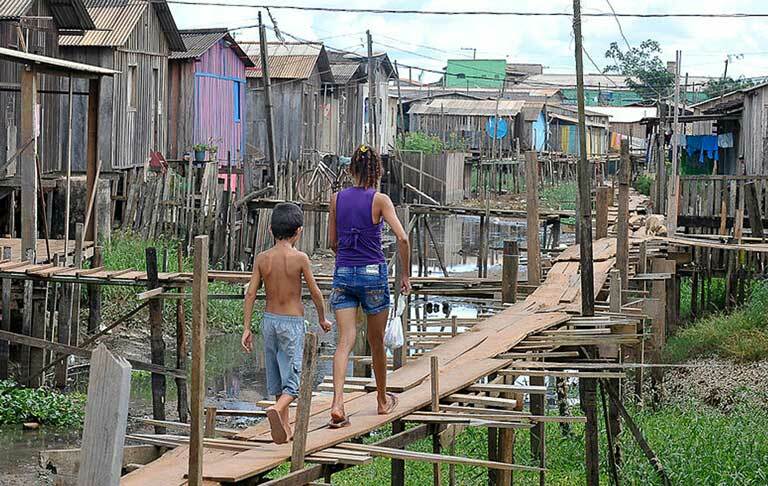 Stilt houses lacking septic systems in Altamira. Photo by Valter Campanato courtesy of Agencia Brasil. Today’s Altamira offers little peace. It’s population has swollen to over 100,000 in the last few years, with an influx of unskilled workers from all over Brazil, men keen to find work on the nearby Belo Monte dam, one of the largest hydroelectric power stations in the world. That population boom brought crime with it. Adélia’s house was recently broken into, and the thieves stole her chickens. 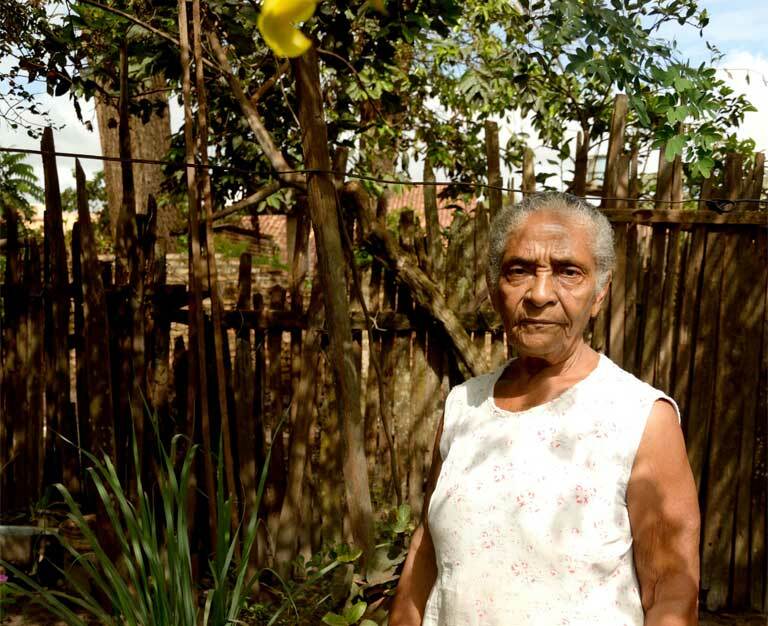 Adding to her unease, she might soon lose her garden — the dam’s engineers are uncertain just how high the river will rise and flood, once Belo Monte starts operation. 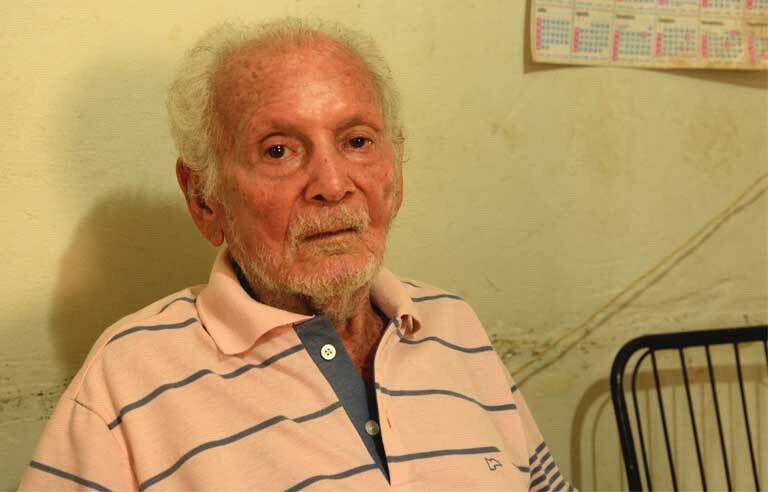 Thiago Pereira “Altamira was a tiny settlement of a few dozen houses in the middle of thick forest [in 1943]. We arrived by boat, travelling up the Xingu river. No roads then. It was peaceful, so peaceful.” Today, Altamira’s population has swollen to over 100,000. Photo by Natalia Guerrero. The scale of this change, mind-boggling as it is, is not unusual in this part of the world. Over the last half century, Brazil’s economic frontier reached the region, bringing a huge influx of workers — waves of loggers, gold-panners, cattlemen, miners, road and dam builders. Though my Amazon experience isn’t nearly as deep as that of Thiago Pereira, I do share some of the shock felt by the patrões at the Amazon’s rapid pace of change. A few years ago, I revisted Redençāo, a town located 600 kilometers to the south of Altamira. I hadn’t been there since the mid-1970s, when I and another journalist hitched a lift in a lorry taking supplies to a construction team building the Transamazônica Highway. The dirt track we travelled then was precarious and on occasion, after a drumming tropical rain, the lorry had to stop to wait until the muddy ruts dried out. I only remember 1970’s Redençāo because the driver told us that an eccentric Italian had an ice cream making machine, run on diesel, in his bar there. The thought of ice cream and ice-cold beer got us quite excited! Redençāo turned out to be a hamlet of some 15 shacks, all built out of mahogany, easily recognized by its reddish hue. But, alas, there was no ice cream — the Italian had run out of diesel. Several men, guns stuck in their belts, stood about drinking warm beer. 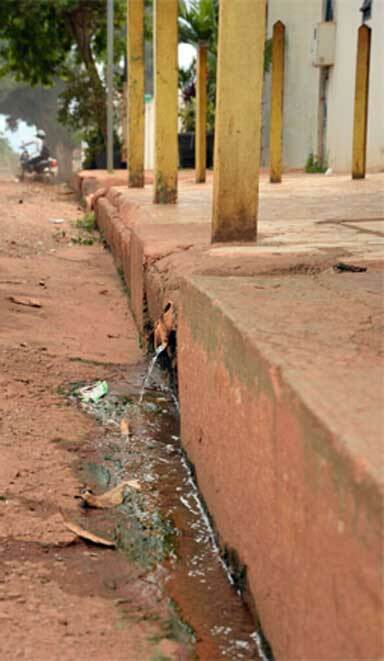 Sewage flows into an Altamira street. Norte Energia, the builder of the Belo Monte dam, has installed a municipal sewage system but has refused to link houses to it, insisting that this is the responsibility of the city government. Photo by Natalia Guerrero. By the time of my second visit, Redençāo was changed beyond all recognition. Its population had soared to 80,000. It had paved roads, electricity and an airport. I couldn’t even work out where the old, original Redençāo had been located in this prosperous new town. I couldn’t find any of the original inhabitants either, though someone recalled the Italian, who had left town a few years earlier. Now, back to the Altamira of today. It is an unhealthy and unpleasant place. There’s no public transportation. Numerous buses fly by on the poorly paved streets, but almost all are run by Norte Energia, the company building the Belo Monte dam, and the vehicles only transport their workers. 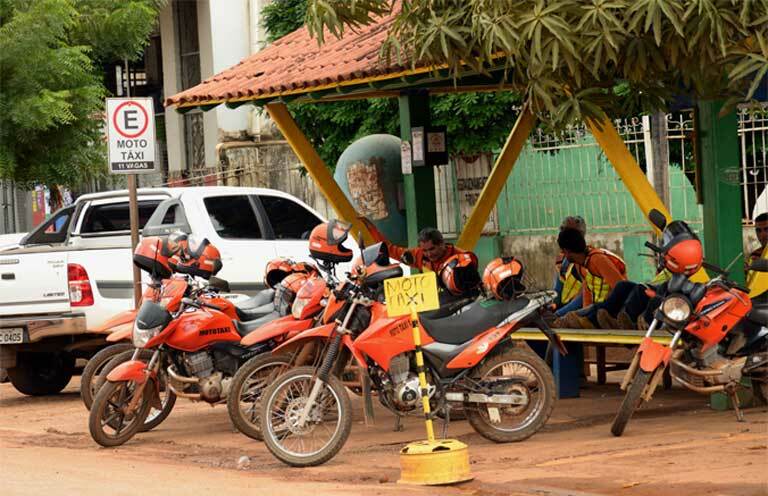 Ordinary people have to walk, catch lifts or pay for a moto-taxi (a motorbike taxi), not cheap at an average price of R$5 (US$1.25) for the shortest trips. People complain about the long queues to get medical attention. Altamira shouldn’t be like this. One of the condicionantes — the commitments made jointly by the federal government and Norte Energia to Ibama, the environmental agency, in return for its go-ahead for the dam — was to make big improvements in the town’s infrastructure. Another failure has been in the provision of basic sanitation: Norte Energia has installed a municipal sewage system but has refused to link houses to it, insisting that this is the responsibility of the city government. As a result, there are still open sewers everywhere you go, as I know to my cost. When I was there two years ago, I arrived in the dark at the house where I was to stay. Getting out of the car, I immediately slipped into an open sewer. My hosts, whom I’d never met before, had to take me round to the back of their home and hose me down before I could step over the threshold. It’s a story that has done the rounds and on this visit several people laughingly recalled it. Altamira in the state of Pará, Brazil, sprawls along a bank of the Xingu River. Photo by Igor Cavallini under the terms of the GNU Free Documentation License, Version 1.2. With the first phase of the Belo Monte dam now complete, Altamira’s population is falling. I bought knee-length football socks to protect me from insects in the jungle from a street seller, who told me that he’d soon be leaving. “Sales have dropped off”, he complained. “I’ll soon be moving on to Itaituba.” That’s a town on the Tapajós River, which will shortly become the main support center for the construction of a complex of seven dams planned for the Tapajós River and its tributaries — the next large river to the west of the Xingu that flows into the Amazon. 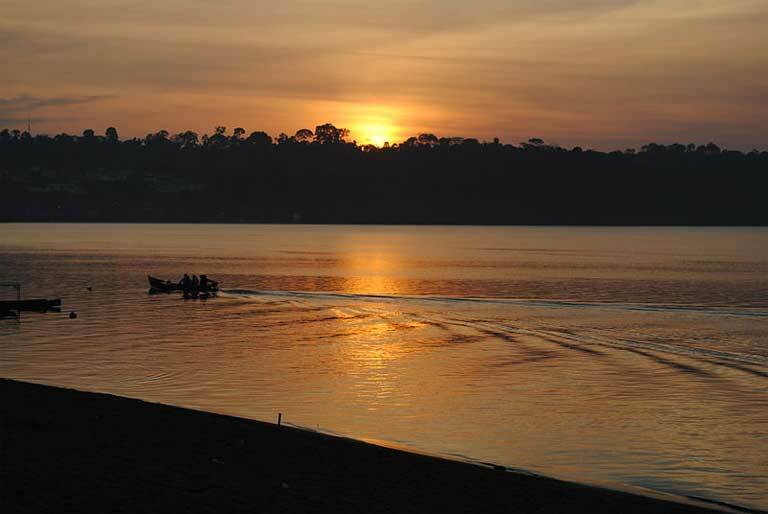 The government expects Sāo Luiz do Tapajós, the first of these dams, to come online in 2019. But the street seller may be jumping the gun. The Munduruku Indians, who live along the Tapajós River, took part in a protest that occupied the Belo Monte construction site, and they saw first-hand the impact the dam had on their “relatives”, as they call the Indians living there. After a lengthy study, Thais Santi, the Prosecutor for the MPF (Ministério Público Federal/Federal Public Ministry) in Altamira, concluded that the harm done by Belo Monte to “the social organisation, customs, language and traditions” of the indigenous groups was so severe that it amounted to “ethnocide”. When I spoke to Santi, she said that the judicial action she has taken on this issue — demanding that the viability of the dam be reconsidered because of the ethnocide — was the most important piece of work she had done during her four years in Altamira. The case is still pending. The Munduruku are determined not to suffer a similar fate on the Tapajós, and have mounted an all-out campaign to stop the dams planned for their river. But the government seems unruffled by the indigenous opposition: in December 2015 Eduardo Braga, Brazil’s minister for mines and energy, called the dam a “priority” for the country and said that all the necessary approvals had been obtained, except the one from Funai, the indigenous agency. He expects the bidding for the contract to be held in the second half of this year. Still, the street seller I spoke to may be in for a long wait. Even if the Tapajós dams do go ahead, there will almost certainly be a long, drawn out conflict regarding these next big hydroelectric projects — especially after the many social and environmental problems with Belo Monte. And so it was that I prepared to travel deeper into the Amazon basin. I joined the rest of the team in Altamira, and we prepared to set off on our trip up the Iriri River. Sunset over the Xingu River. The Belo Monte dam on the Xingu, the proposed Sāo Luiz do Tapajós dam, and six more large dams proposed for the Tapajós basin will do more than staunch the flow of once wild rivers, they also bring urbanization and urban problems such as street crime and poverty to once remote areas. Photo by Analita Freitas Duarte licensed under the Creative Commons Attribution-Share Alike 4.0 International license. Adelia Marinho de Souza in her cottage garden, her sanctuary from the urban world that has replaced the sleepy Amazon settlement in which she once lived. Photo by Natalia Guerrero.